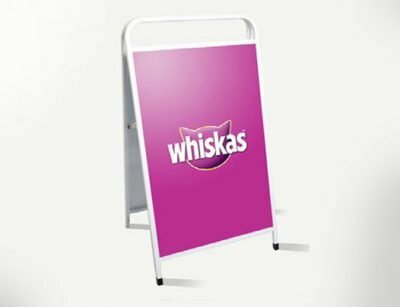 Tenji’s Metal A-frames are printed full colour double sided using UV polymeric vinyl with a clear laminate to make your print last longer can be used as a chalk board or specials board utalising chalk vinyl. 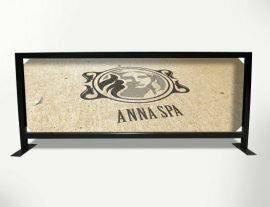 Made from heavy duty powder coated steel frames in either black or white with large handle at the top. 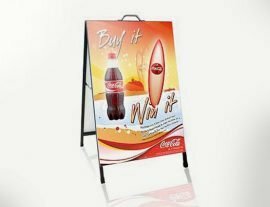 A-frames or sign boards are a fantastic way of advertising either out the front of your shop on the sidewalk or using your space in a shopping centre display. Durable and light enough for one person to carry especially with the large handle on the top.